700 — 7 500 руб. 700 — 5 000 руб. 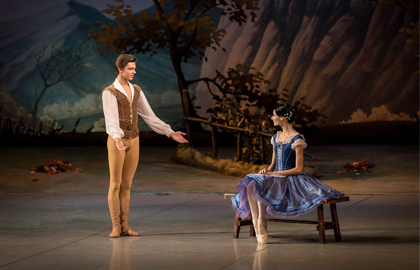 The stage life of Giselle hasn’t been an easy one. After its premiere of 1841 featuring Carlotta Grisi and Lucien Petipa, the ballet was performed in France till 1863, when it disappeared from the repertoire. 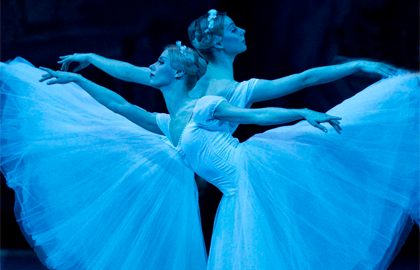 The ballet has been staged in St.Petersburg since 1842. At the beginning of the 20th century during the ground-breaking Diaghilev’s Russian Seasons, the French saw their national ballet, faithfully nurtured in Russia. 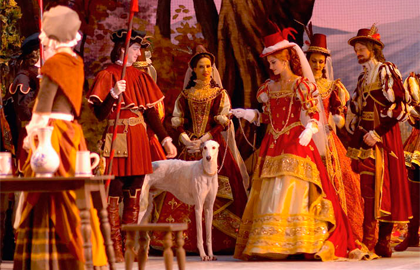 The Mikhailovsky Theatre’s the 2008 production of Giselle by Nikita Dolgushin, a specialist in historical works, managed to amaze both the public and the critics. Dolgushin, a noble Albrecht in his time as a dancer, inspired the creation of the ballet and delicately united dance and mime. 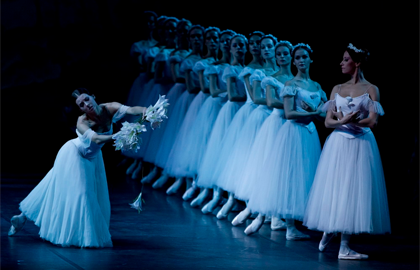 He revealed the essence of the romantic ballet, the story of Giselle is told in the language of ballet classicism. 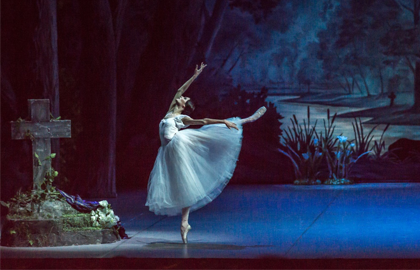 Together with Viacheslav Okunev, who designed the epitome of romantic settings, Dolgushin made a production that was described by a British critic «an exemplary Giselle».